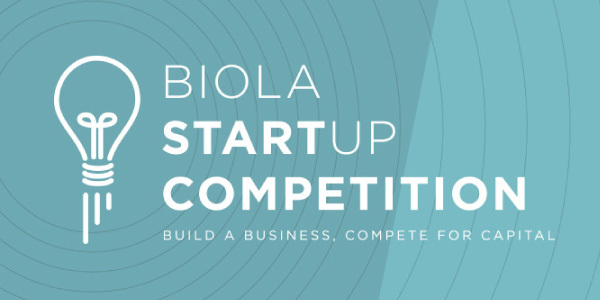 The Biola Startup Competition is a new initiative that offers all current Biola undergraduate students, graduate students and recent alumni the opportunity to transform a promising idea into a successful startup company. Aided by experienced executives and business leaders, teams will have the chance to pitch a concept, develop a business plan, gain valuable real-world insights and compete for capital. Hosted by Biola’s Crowell School of Business, the competition aims to foster kingdom-minded, Christ-honoring entrepreneurship across the university community and develop greater opportunities for business as ministry. To achieve success as a business student, it is important to establish a career network and build a circle for Christian fellowship, and that's what this club provides. Choosing to participate with your colleagues and future business professionals as a group of believers will better prepare you for entering the global workforce and provide the resources you need for advancement in various careers. We encourage you to join us as you work your way up the ladder of success.